Description: The largest of the cycads which produces offsets along the length of the trunk. Has numerous long shiny green leaves as is similar in appearance to cycasrumphii. 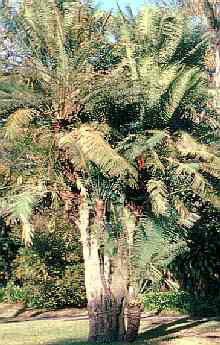 Thought to be the oldest of the cycads.